I was browsing on Pinterest today and found a great, simple and fun idea for encouraging our grandchildren to think about being kind to others and have a very doable activity which gives them an opportunity to do so! And, you only need a few simple supplies! Follow this link and you'll find all the specifics for having your grandchildren make, "kindness stones". Children will decorate small rocks with designs and words like - happy, love, etc and then leave them in parks, at bus stops or anywhere there are people to find them and be encouraged by the stones they find! I think we could also have our grandchildren write simple things like, "God loves you! John 3:16" or "God forgives! John 3:16" on one side as well. 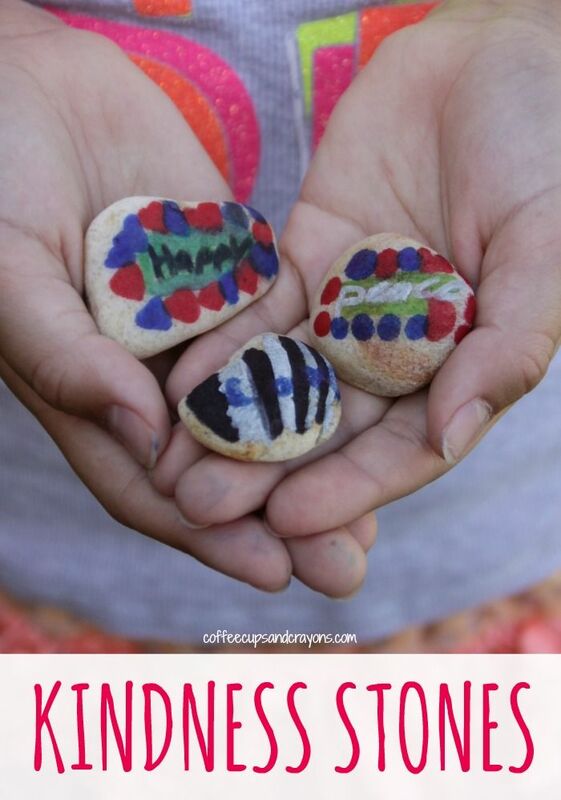 Whatever you decide to write on your kindness stones, take your grandchildren on a walk to find stones, or buy some at the store, then pull out the permanent ink markers and have fun decorating! Then go on another walk to leave them for others to find - be sure to spend time praying for those who find them that their lives will be touched and God will use it to draw them to Him!